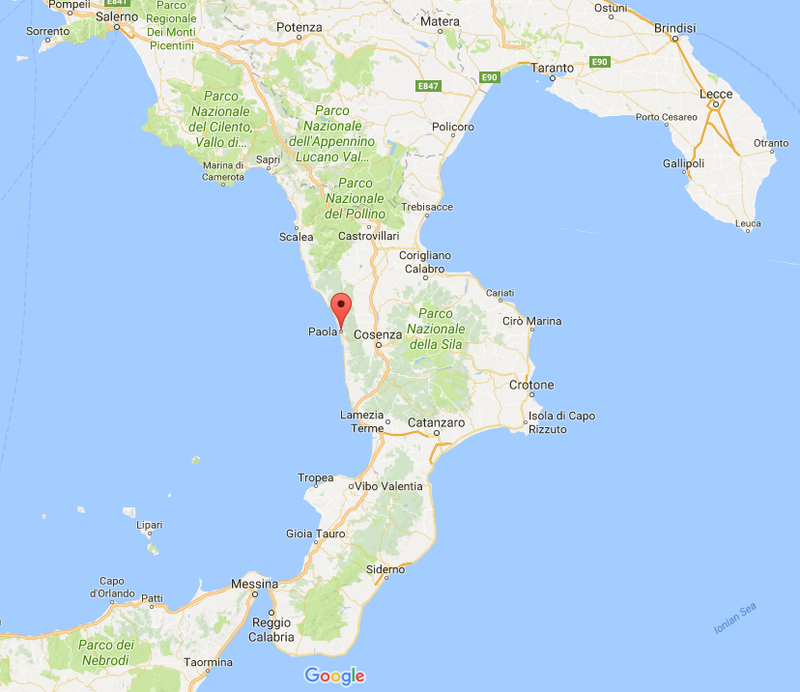 The winding drive around the steep hills from Cosenza to Scalea, makes for an exciting trip at times – though nothing like the Amalfi Coast. You drive on the outskirts of hilly Paola to get to Scalea and although we hadn’t planned on going to Scalea this morning, this is where we ended up, and very glad. Scalea’s roots are complex, to say the least. Dating back between the 8th to 4th century BC, when it was a Greek colony of Enotria, but the Lucanians inhabited the area prior to this period, both along the coastline. Escaping the city, the Romans then built the first seaside villas. During the Byzantine and Norman eras, the coast was abandoned. 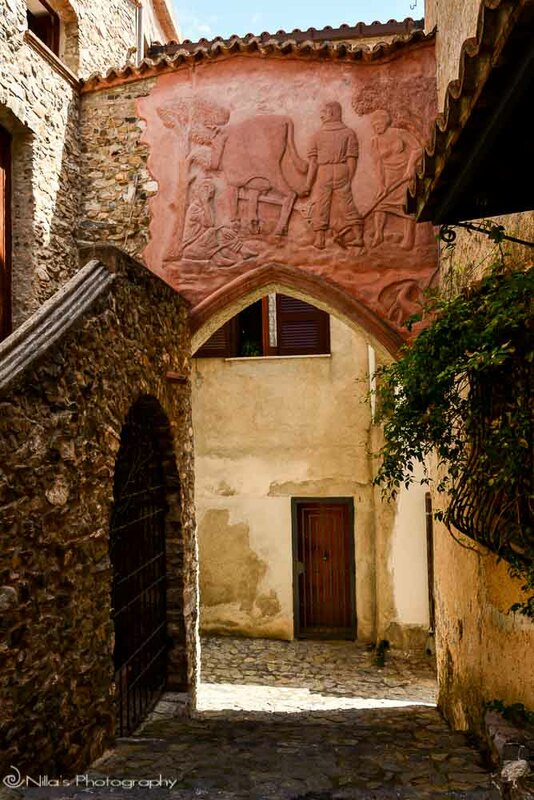 Moving further uphill for protection, residents built a Medieval town, connected by alleyways and steps. This was also encircled by a defensive wall in which gates could be closed against any invaders. At the very top of the hill and surrounded by traditional homes made of local materials of that period and owned by noble families and fisherman, sat the castle. Sadly, very little of the castle remains today and locals have taken to adding bits of modern sculpture to the ancient stone walls. Rest here and take a while to imagine what this grand structure would have been like in its day. 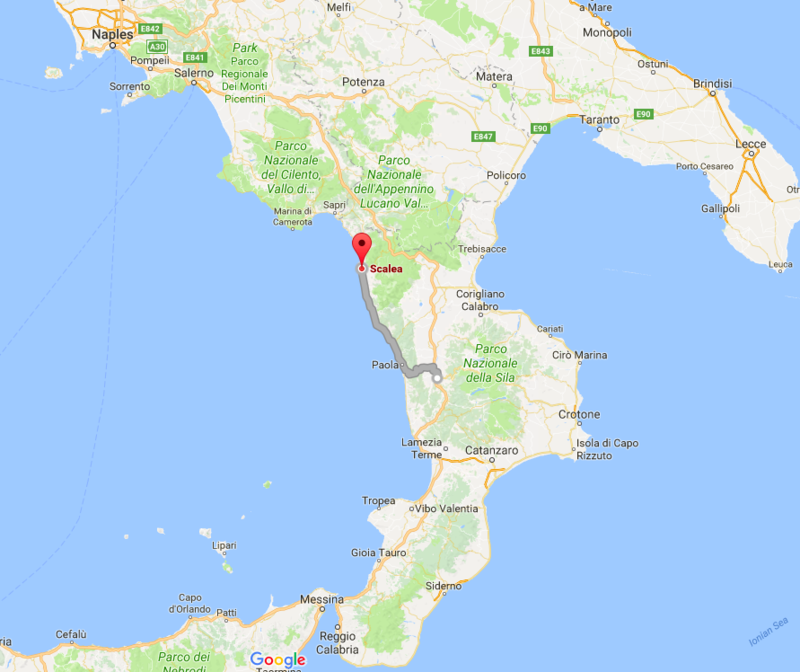 Today, Scalea seems kind of split between residents living along the more modern coastline and residents that still live up the hillside, which is more residential and less touristy, with few small shops. 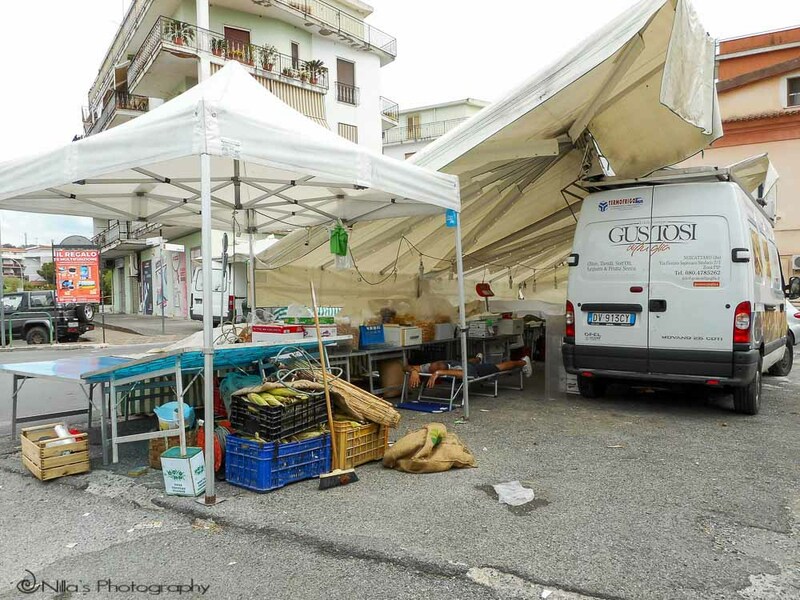 Closer to the seafront or the modern town, which was primarily developed following WWII, you find many shops, restaurants, coffee bars, Gelateria’s, and grocers. In the summer, Scalea is swamped with tourists from around Italy and northern Europe. 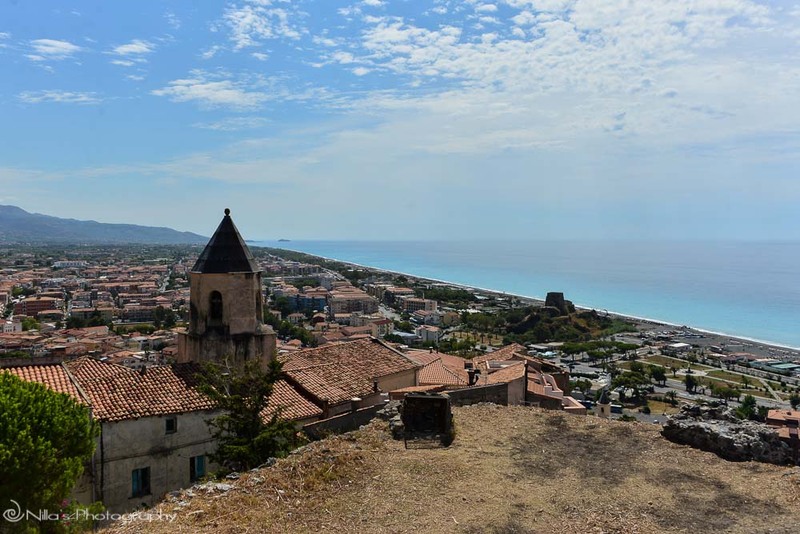 Although I haven’t visited during the summer, if Scalea is anything like Paola during this season, then beaches become quite crowded, as do many of Italy’s coastal town beaches. With such long beaches, Scalea offers many activities such as water sports during the summer, coupled with crystal-clear bathing waters; this town is a great tourist get-away. For nature lovers, trekking and walking trails await you in the Riserva Statale Valle del Fiume Argentino – a large mountain reserve only a ten to fifteen-minute drive from Scalea. If you enjoy spice in your food, then the Museo del Peperoncino may be of interest to you. Learn the history and origins of the fiery chilli, Calabria’s gastronomic symbol, and featured in numerous Calabrese recipes. 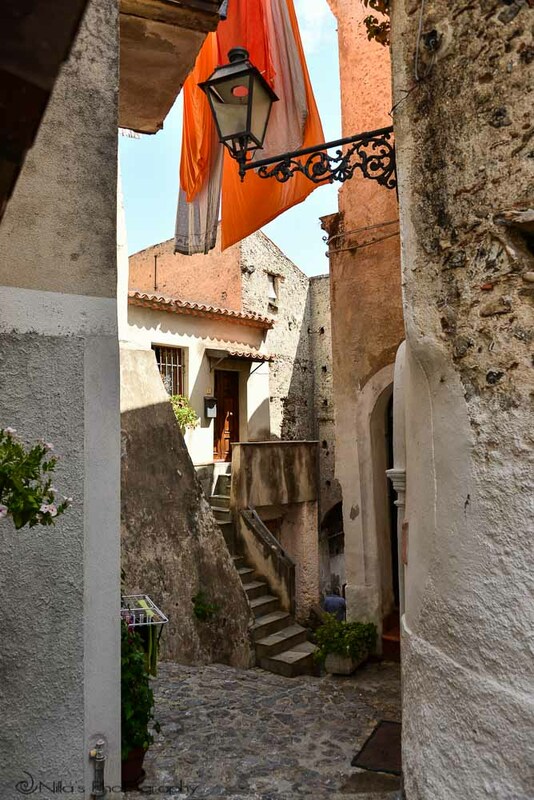 Meander up the many stairs and arched alleyways to the medieval Centro Storico (historic centre or Old Town), and you will encounter numerous quaint cobbled piazzas on your climb – just like stepping back in time. 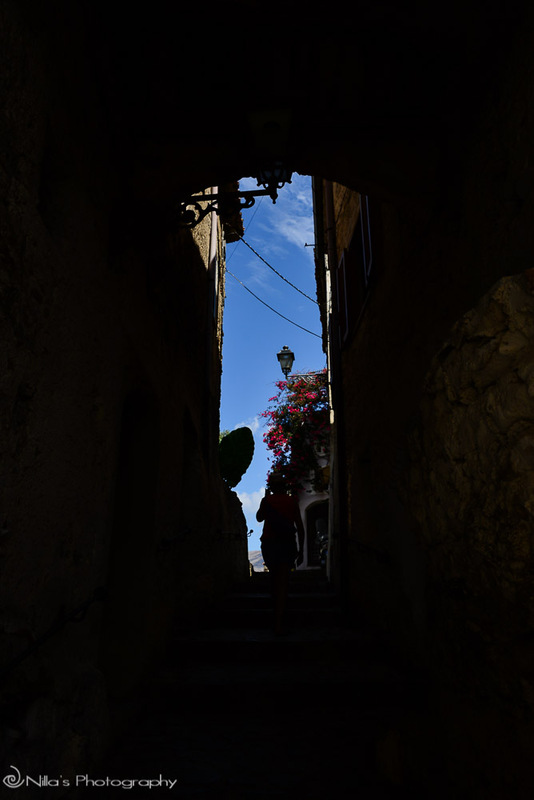 With only a few trattorias dotted around this area, make sure you take water on this walk as it’s a steady steep climb to the top of the hill. Gorgeous vistas down to the coastline await your climb, so it is worth getting here, not to mention the remnants of the castle perched high on the hill. I simply love all the shapes, shadows, and natural framing that these aged alleyways disperse, whilst you venture through unknowingly, to what lies ahead. Around every corner is another hidden frame. 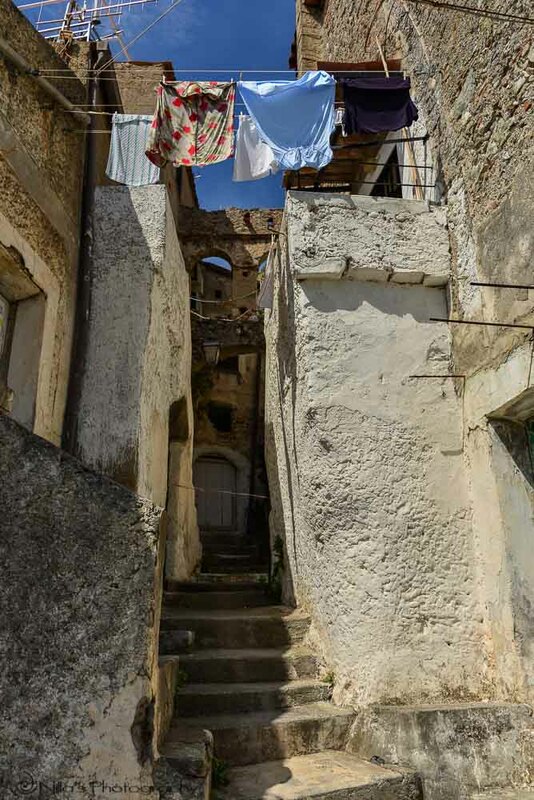 Regardless of where in Italy you travel, freshly hanging laundry high up in tiny laneways, greet the traveller. Some photographers may find this annoying or distracting, but I find this a non-pretentious part of local Italian life and one not to be hidden or Photoshopped out. As we plan to stop off at our favourite seafood restaurant in Paola, decided only to indulge in drinks and Gelato in Scalea – walking up and down all those steep steps to the Old Town is hard work. Amazing home-made Gelato (€2.50 for massive medium cone) with so many flavours to choose from – think about working your way through the lot if you’re staying in Scalea for any length of time. I know many that would do exactly that! The service is great here and of course, coffee and pastries are also on offer, which looked delicious. The same lady has been making the Gelato here for 30 years and even went to Germany for a couple of years to make Gelato – it is that good. Also along this leisurely stroll back to the car park, noticed this unusually placed WWII memorial. 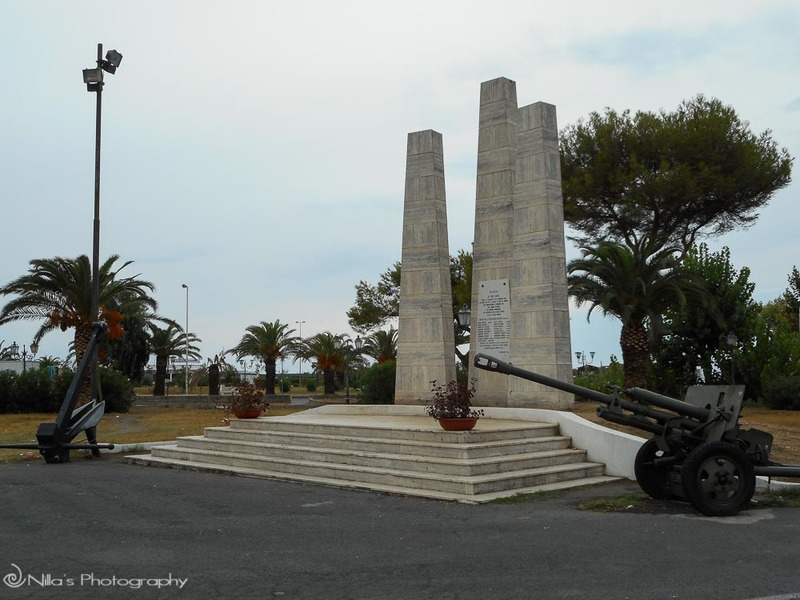 Although an odd place for the monument, anchor, and artillery field gun, perhaps when the memorial was built, the surrounding area wasn’t a car park? The drive back to Paola on the highway is still quite hilly until reaching Paola. The roads then became quite narrow and so, congested, until your bid for freedom along the seafront. As Paola is only a lunch destination today, we are not really sight-seeing. Food is the main focus this afternoon. 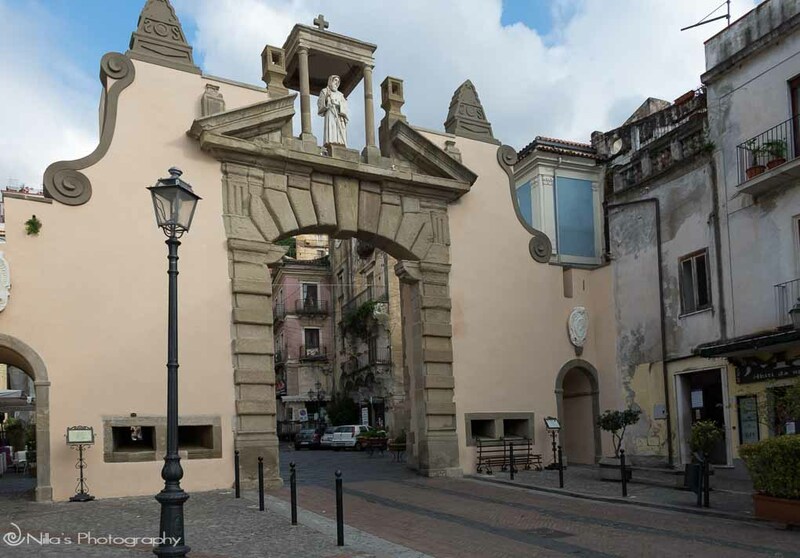 I have written about Paola in another post: Christmas festivities in Calabria, Southern Italy. 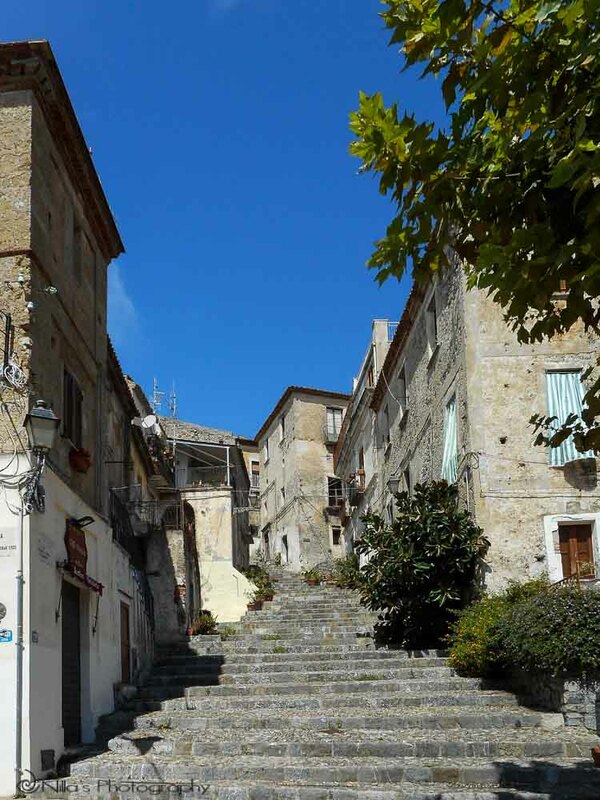 As with many villages, towns, and cities in Italy, Paola also has a picturesque Old Town, which is definitely worth visiting; and not such a steep climb as in Scalea. When in Paola, we always try to eat at Carp Diem because it really is that good and worth the drive. Along the pleasant Tyrrhenian seafront (Via Lungomare, 70) at Paola lies this wonderful restaurant. 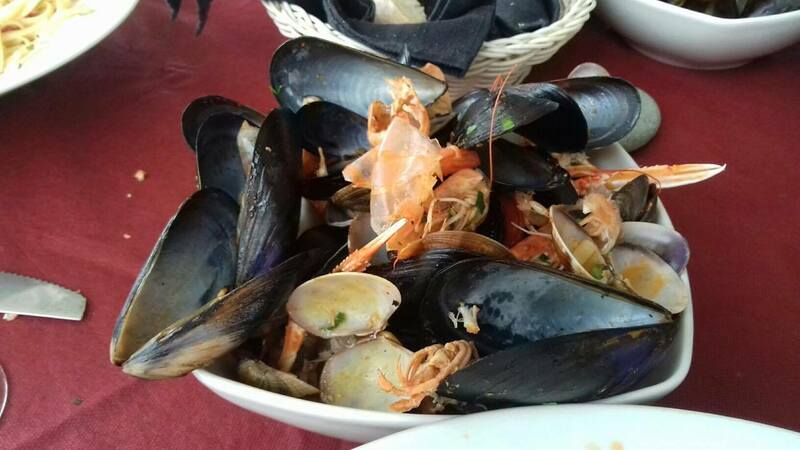 A favourite restaurant for excellent fresh seafood dishes. Note that this restaurant closes at 16:00 hrs then re-opens for dinner at 18:30 hrs. Unaware of the restaurant’s hours and arriving at 16:00 hrs, staff were packing up and advised the kitchen is closed but coffee, cake, and maybe a pizza can still be served. With disappointment on my face, the waiter asked the chef if he was willing to make us food. To our delight the answer is yes and anything we want from the menu is OK by the chef – how accommodating. Our delicious meal of pasta piled high with juicy fresh seafood did not disappoint and accompanied by chilled Rose, whilst overlooking the sea, set the scene. Even though this restaurant is supposed to be closed, the service is still great this afternoon. Will definitely have to return to explore further as haven’t even scratched the surface of what Scalea has to offer a traveller. But for now, a latish drive back to Cosenza saw us just relaxing in comfort for the evening…until the next adventure. Wow!! I totally envy you. I would love to be able to go on all the travels you do. I do plan on going to Italy one day. Your posts are very inspiring. Hey Jen…thanks for leaving me a comment. Hi dear Nilly, I live in Scalea. Your report is wonderful. 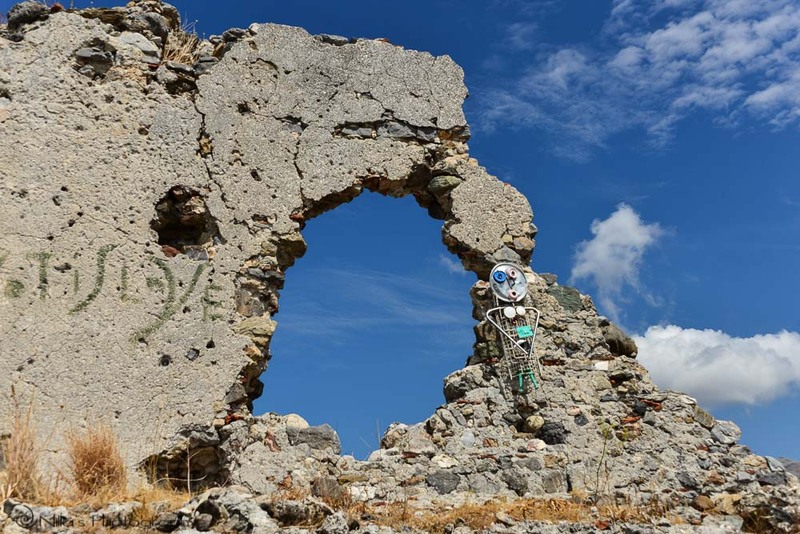 Thank you so much, the wonderful tourists like you who visit and discover Scalea and spend such beautiful words, make me proud of belonging to this land. Come back soon! Hugs from Calabria. Thanks for sharing this write up. Southern Italy is so authentic and unique. I’ve made a couple of trips, but this was years ago. I can’t wait to visit again. Hi, yes it is and one of the reasons I’m currently living in this region – I love it! 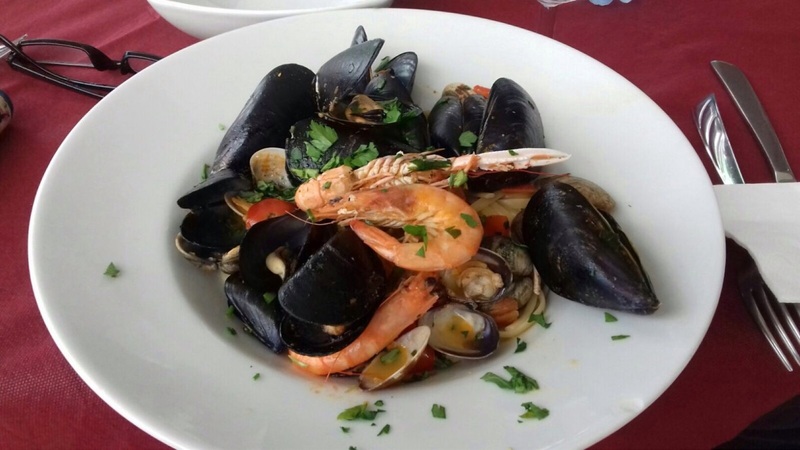 Where in southern Italy did you visit? As I only write about where I’ve actually been, then it helps to stop in one place for a while to really get the feel and perhaps understand more of the culture. I totally agree….the laundry makes the photograph even more authentic. 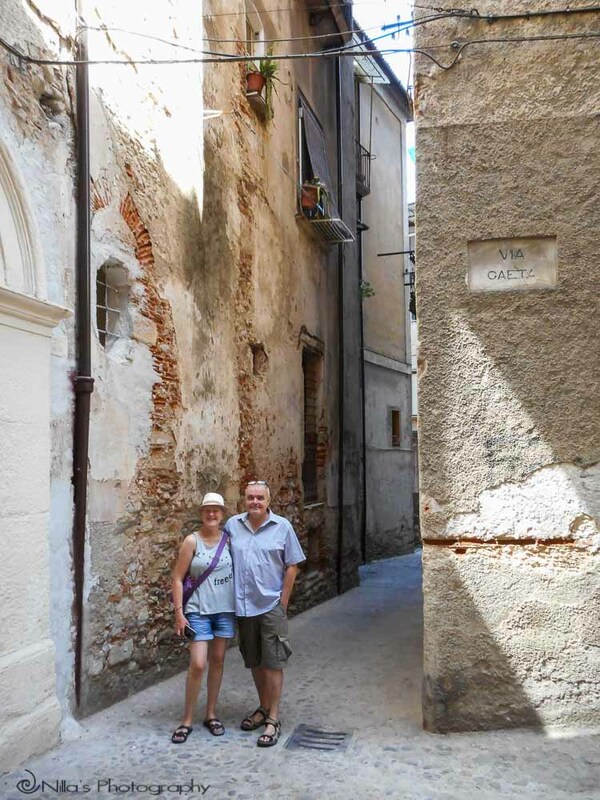 Great write up on Scalea.. we bought a house in Centro Storico ten years ago and fantastically it’s in one of your photos ( aged steps) with the archway right connecting our house to the one opposite..
It’s a jewel of a town with sunshine 3/4 of the year..
Do you live in Scalea or is it your holiday home? I’ve been to Scalea but only to the more modern part of it. I’d be curious to see the old town! 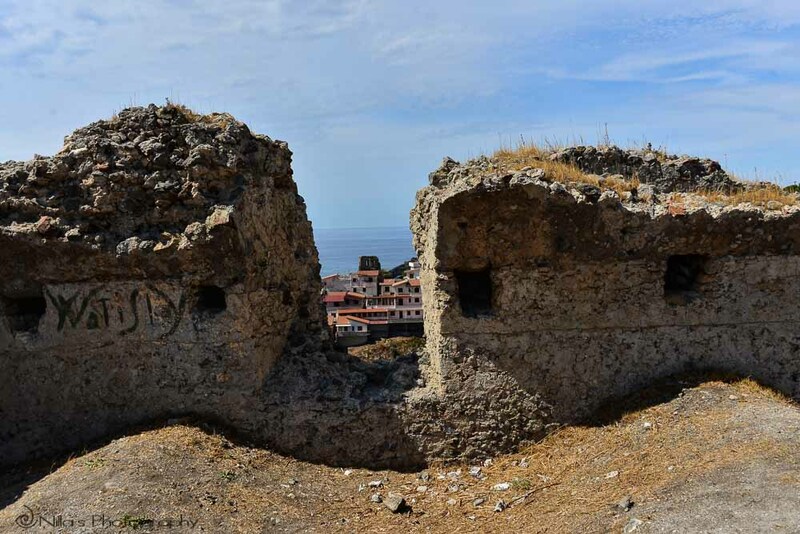 There are some great towns along the coast in and around Scalea that I think you’d really like! Wow! This place seems definitely charming and picturesque, Nilla! I would definitely love to visit Carp Diem!